Today more than 2 million Americans, including around 10,000 men and women in Minnesota, are in jail or prison in the United States, the highest mass incarceration rate of any country in the world. On Tuesday, Nov. 20, “States of Incarceration”—the first national traveling exhibit and coordinated public dialogue exploring the history and future of mass incarceration in the US—will open in the Irvine Gallery at the Minnesota History Center in St. Paul. 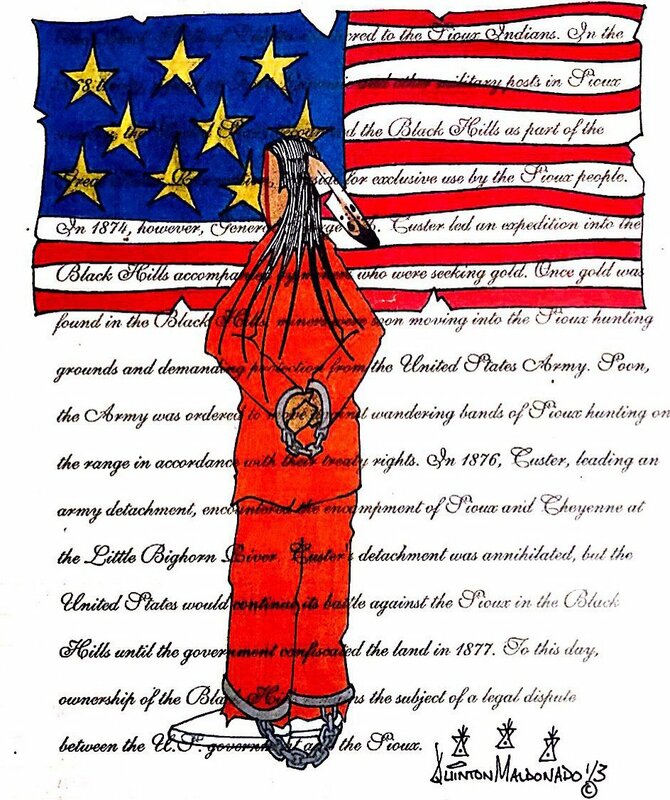 The States of Incarceration project was created by university students from around the country, including University of Minnesota students who researched Minnesota’s high rate of Native imprisonment, which is 12 times higher than the white population. 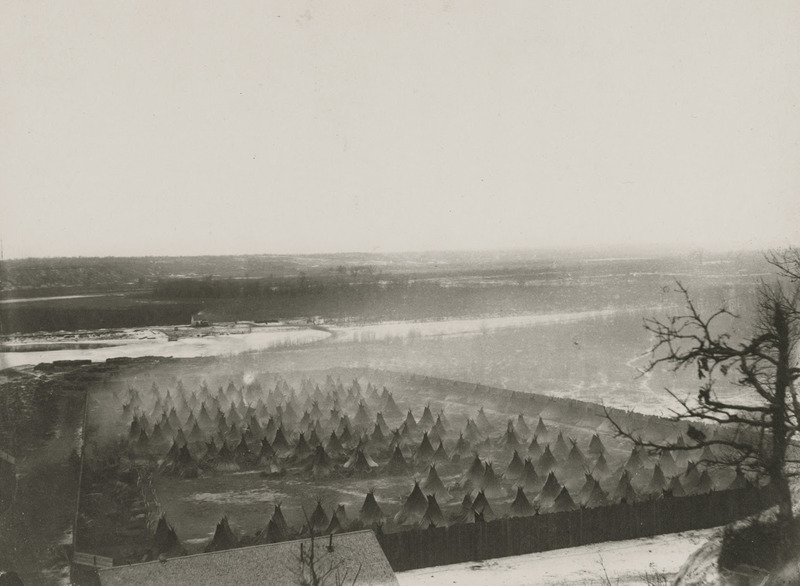 In the exhibit, visitors can examine how centuries of Native trauma has shaped Minnesota prison population today, including unfair treaties, forced removal by the US government, the US-Dakota War of 1862 and Dakota concentration camp at Fort Snelling, and the Indian boarding school movement. The exhibit also contains new content created by the Minnesota History Center and local partners, exploring local stories as well as artifacts made by formerly incarcerated people. Plus, see Pine Ridge artist Quinton Maldonado’s collection of ledger drawings—an art form created in captivity by Native people—where he draws parallels between Native history and Native imprisonment today. “Long-term imprisonment is a new phase of historic trauma, breaking up families and eroding balance,” Maldonado says in his artist statement. The Minnesota History Center and its partners will host a series of related programs throughout the exhibit’s run, including an installation of cut flowersto acknowledge imprisonment in Minnesota and promote healing; a parallel exhibit on culturally focused prison education programs in Minnesota at the AIM Interpretive Center; a talk on art created by current and formerly incarcerated people and a conversation series on these issues in Minnesota and the US. “States of Incarceration” is a project of Humanities Action Lab and was made possible in part by the Institute of Museum and Library Services, National Endowment for the Humanities, Whiting Foundation, Open Society Foundations and Andrew W. Mellon Foundation. Local contributors to the exhibit are Oyate Hotanin, American Indian Prison Project, InEquality, American Indian Movement Interpretive Center, The Circle of Peace Movement, Calee Cecconi, and the following programs at the University of Minnesota: the Institute for Advanced Study, the Heritage Studies and Public History program, the Department of History, the Department of American Indian Studies, the School of Architecture, the College of Liberal Arts, University of Minnesota Libraries, and Liberal Arts Technologies and Innovation Services. The Minnesota History Center holds the vast collections of the Minnesota Historical Society and is home to the History Center museum with innovative exhibits, Gale Family Library, café and museum store. The History Center is located at 345 W. Kellogg Blvd. in St. Paul. For more information, visit www.minnesotahistorycenter.org.